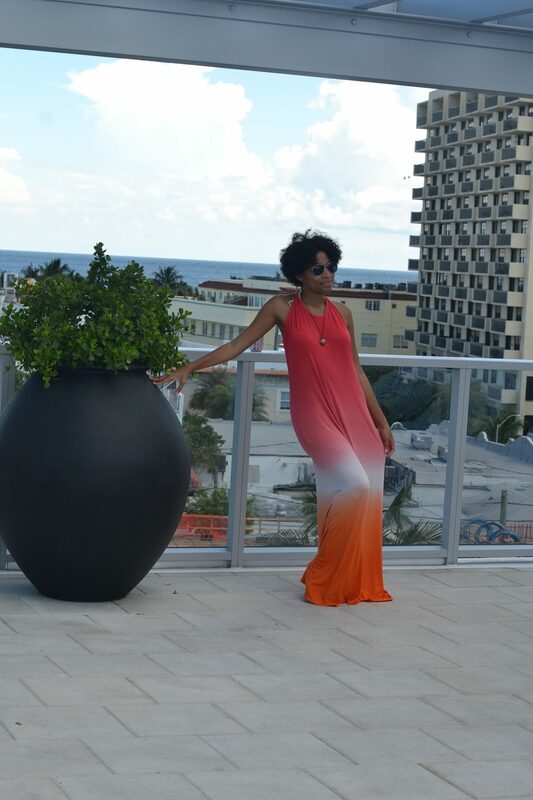 Miami is a place I been to several times. I was going to Miami recently for my annual Carnival Cruiseline partnership and getting ready to port at Port Canaveral but I came a day earlier to rest before sail off. 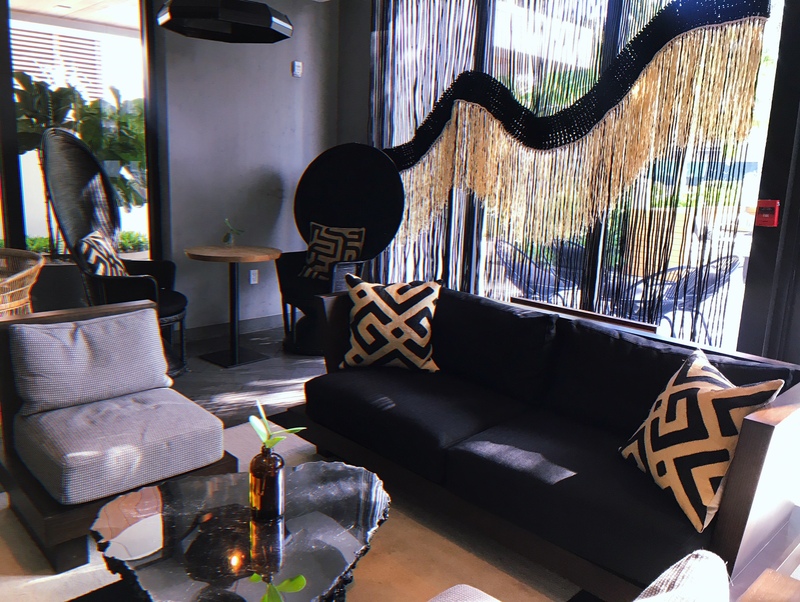 I love a cute boutique hotel and I got an opportunity to stay at the Kimpton Anglers Hotel that surprised me with their eclectic vibes. I feel like every area in the hotel is a photo opp space. 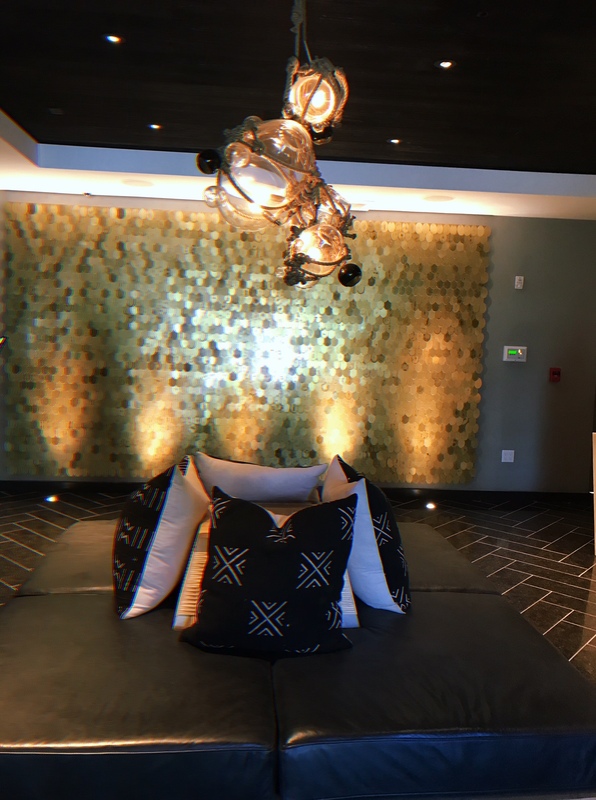 From when you first walk in the lobby you can already tell this is a modern glam but laid back vibe. Not too glitzy but a little glam and a lot of print action. I was here for it. 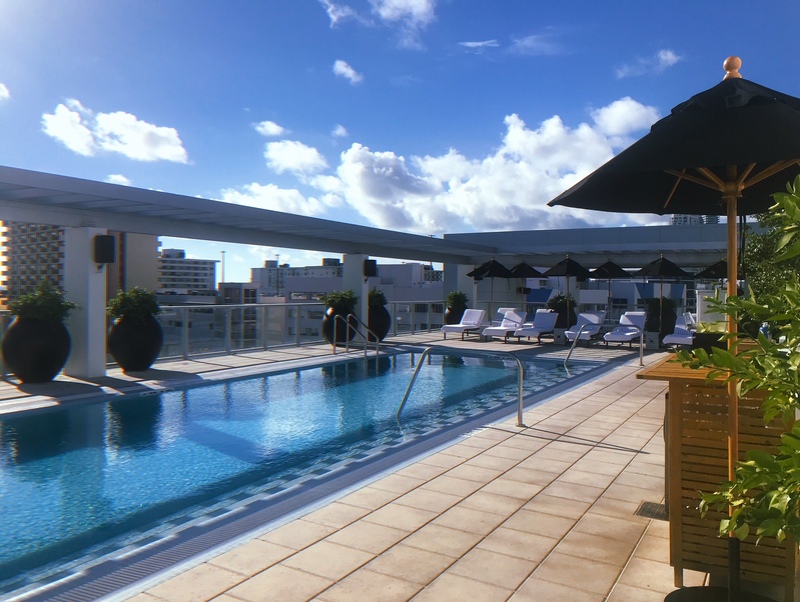 Not all hotels have rooftop pools, but in hot Miami sometimes it is a must! 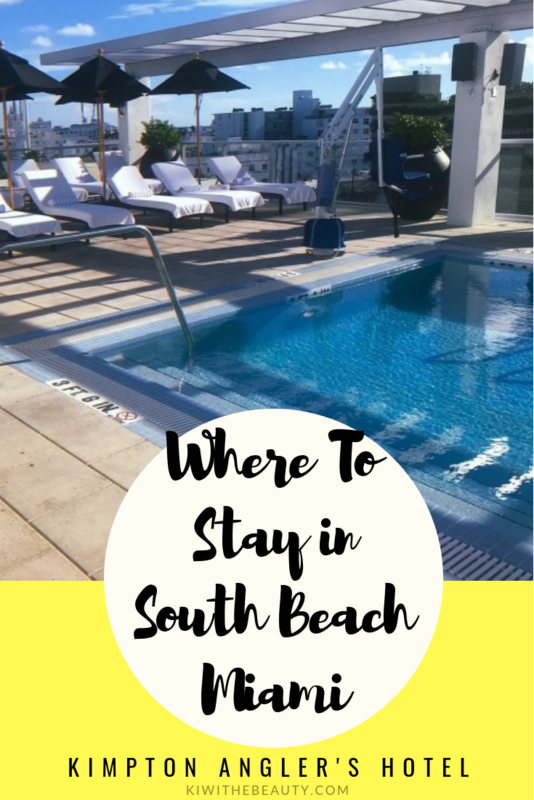 Yes South Beach isn’t far, but the convenience of having a swanky rooftop pool with cool views is always a hotel perk! Lots of lounge chairs with shaded covering and there is even a bar cart with a server at the top too if you need a drink to beat the heat! So here is where the vibes get real in your room. 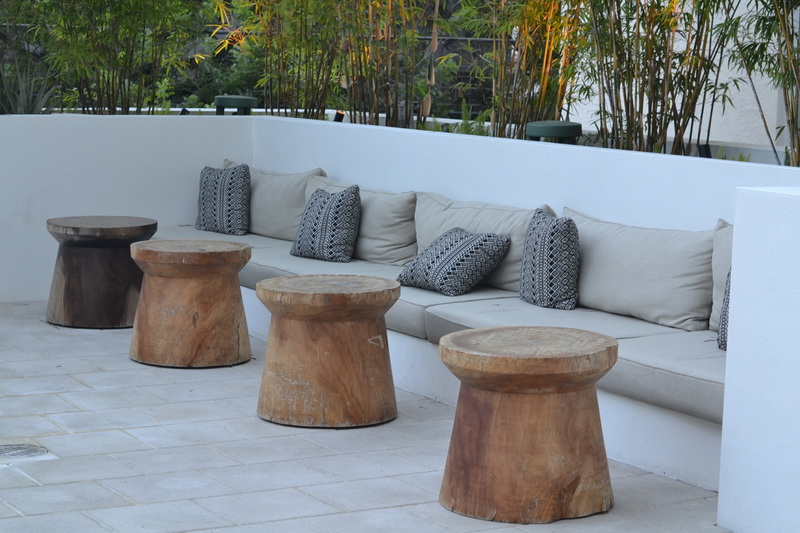 Its a modern boho oasis. 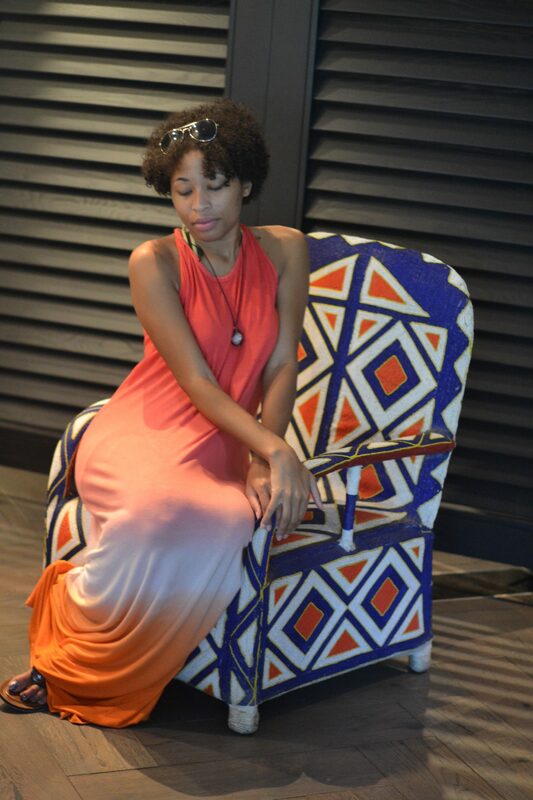 The boho decor sold me instantly as this is so my style. 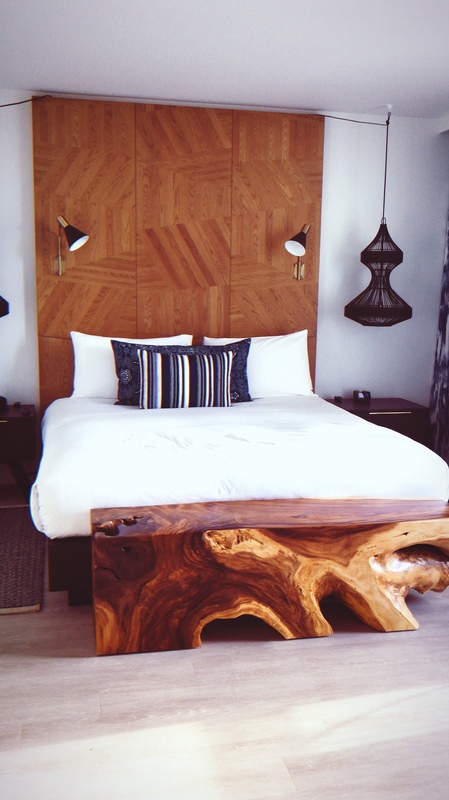 More cool patterns and texture, wooden accents and motifs spread around and even some faux palm plants that makes the room more bohemian relaxing. 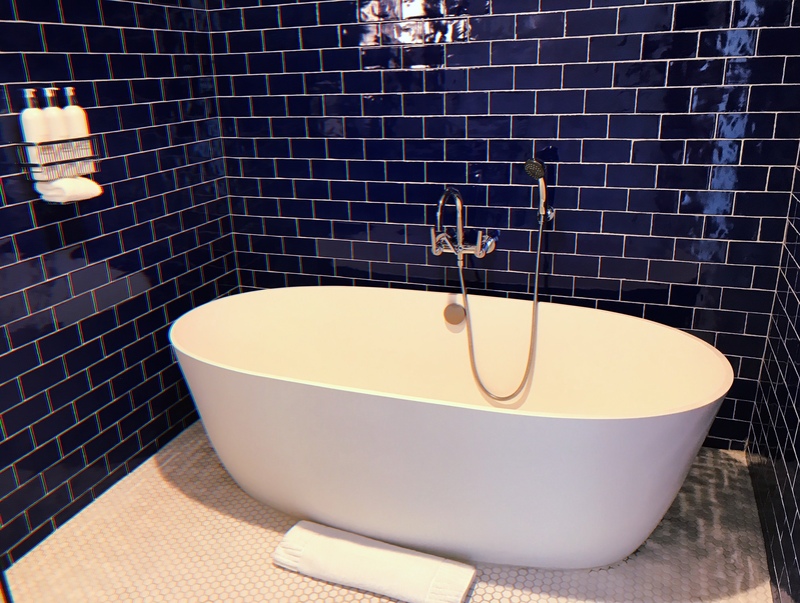 I feel in love with the bathtub and the massive cobalt blue tiling. 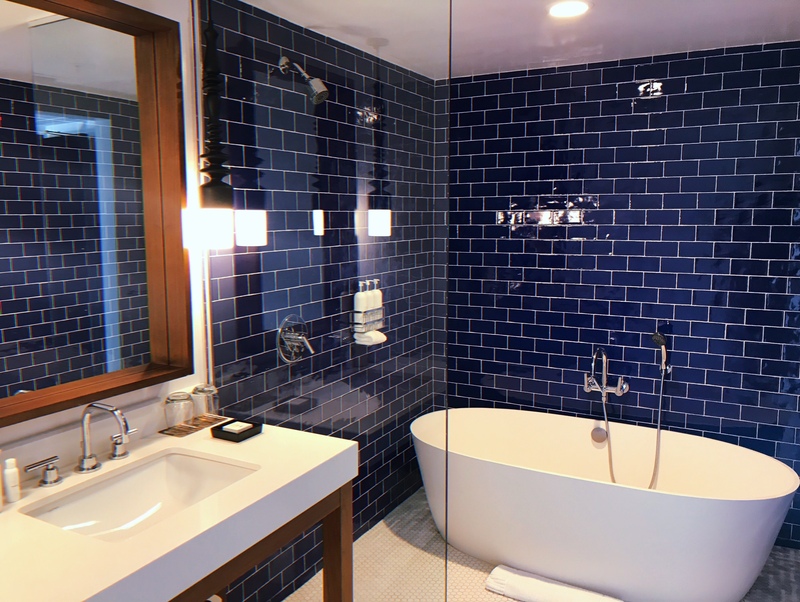 The tiling went so beautifully with the white porcelain tub with the muti-showerhead attachment. I had a room with a terrace that oversaw some of the downtairs lounge area. You can some glimpses of the South Miami skyline as well. 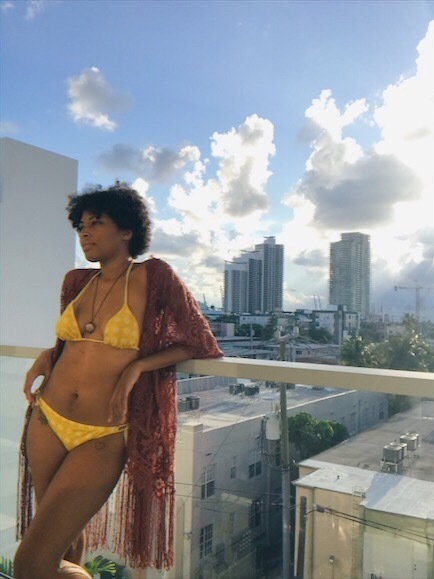 Perfect Miami vibes! 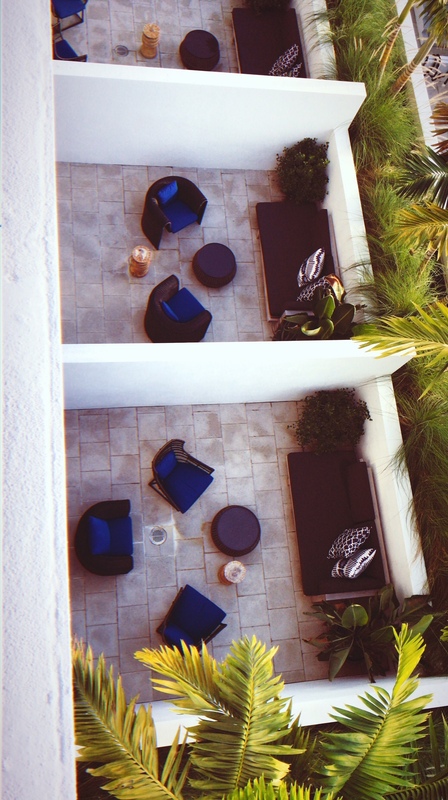 So many places to lounge and vibe out in Angler hotel. 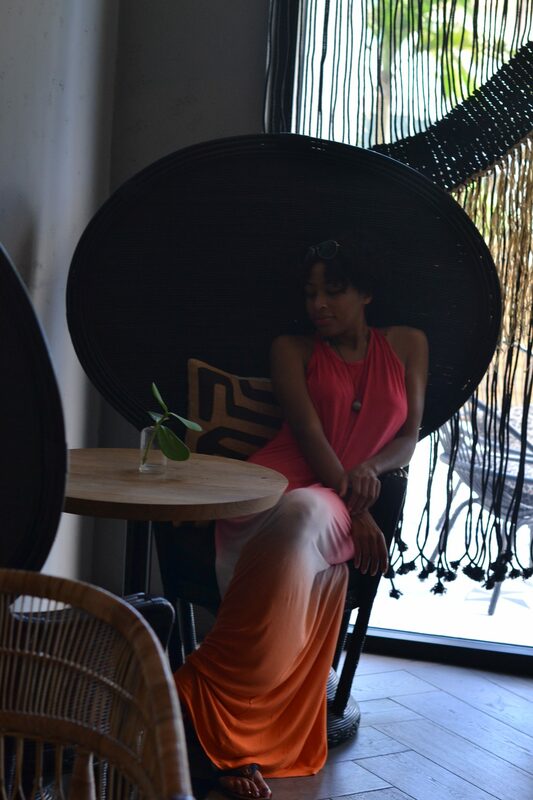 I think beside it being a boho theme, lounging was a great runner up! So many places to sit, eat, mingle and even take a nap if you want to. I think that is what I loved about this place, so many options and locations to get cozy in this hotel no excuse as why you arent comfortable. 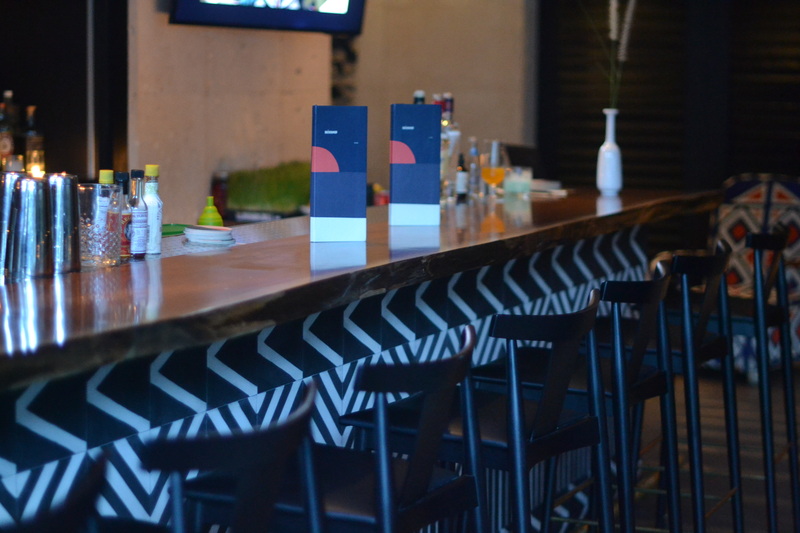 Its definitely a place where you can have great meetups and mingling sessions with friends! Grab breakfast here or have a drink and chill out. You can even place super Jenga and Connect Four! 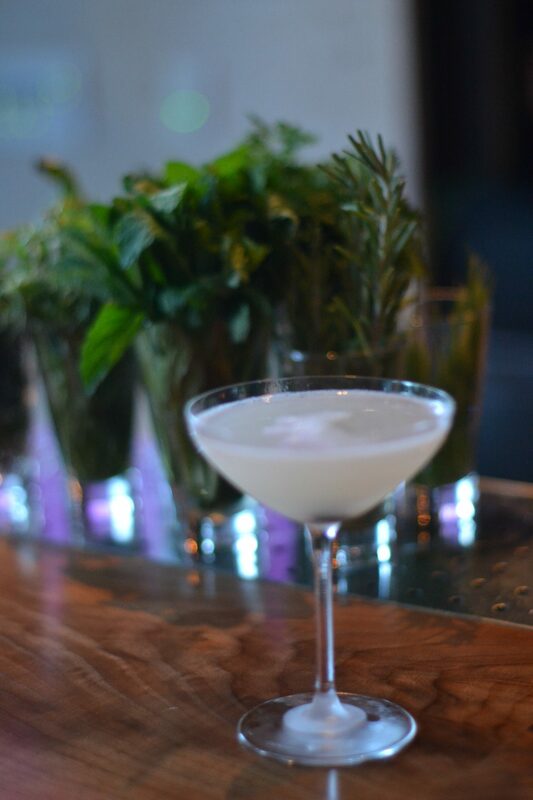 The craft cocktails are freshly made with fresh ingredients as well and very affordable. 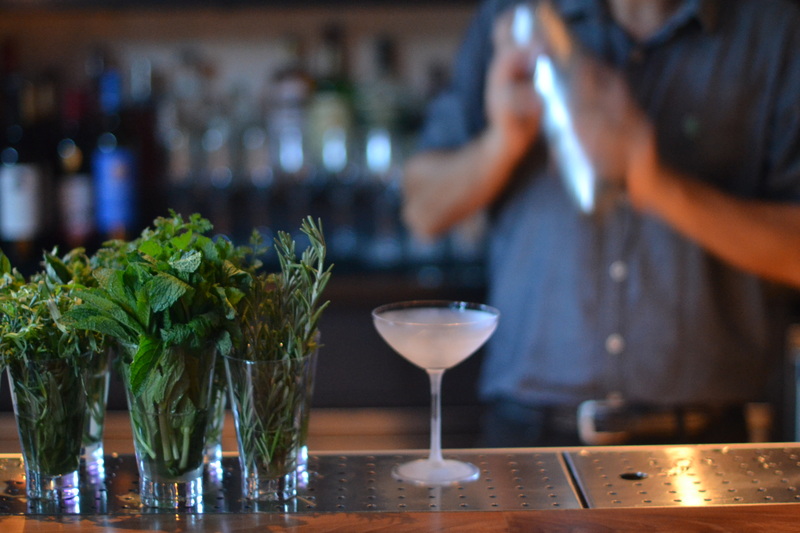 Some drinks start off at $6 during happy hour. Cheers! So speaking of bar talk, the bar lounge area was amazing. I swear I want to do my living room area like this space. 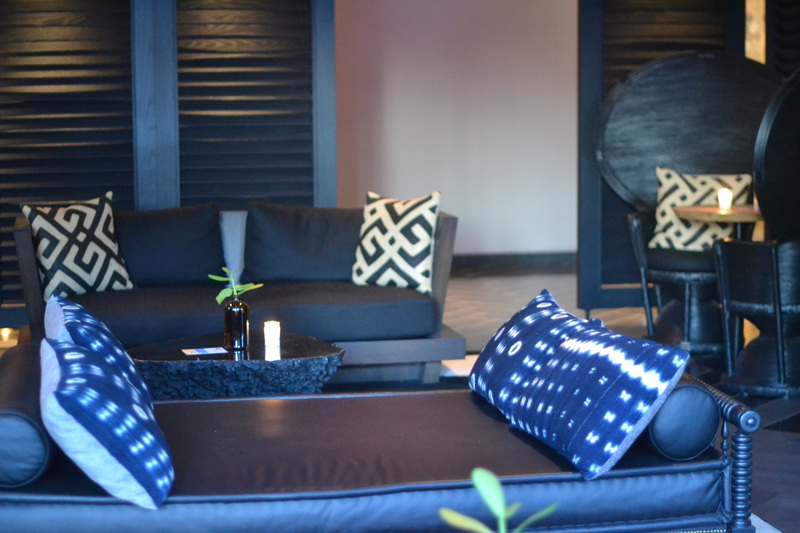 Its a dark but natural modern vibe to continue with the boho motifs. 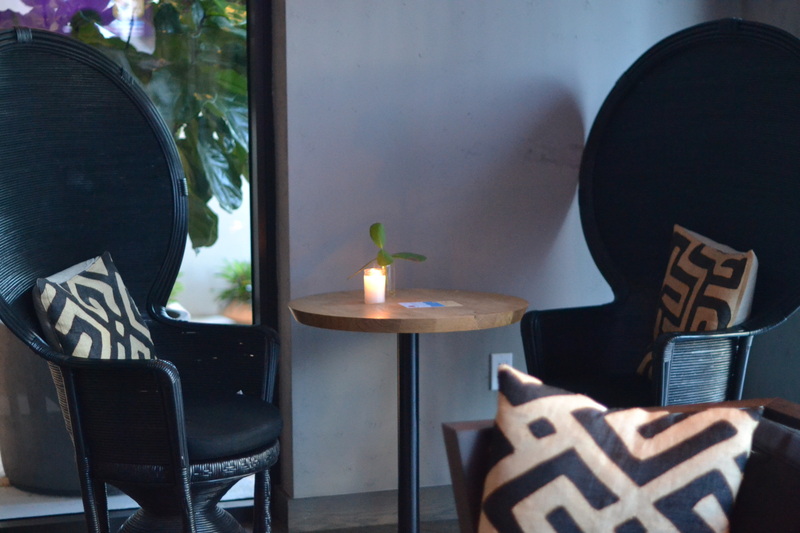 There are oversized wooden chairs, natural colored patterned pillows, decorated bar and more. I just couldnt get enough of this well designed area I felt at home! 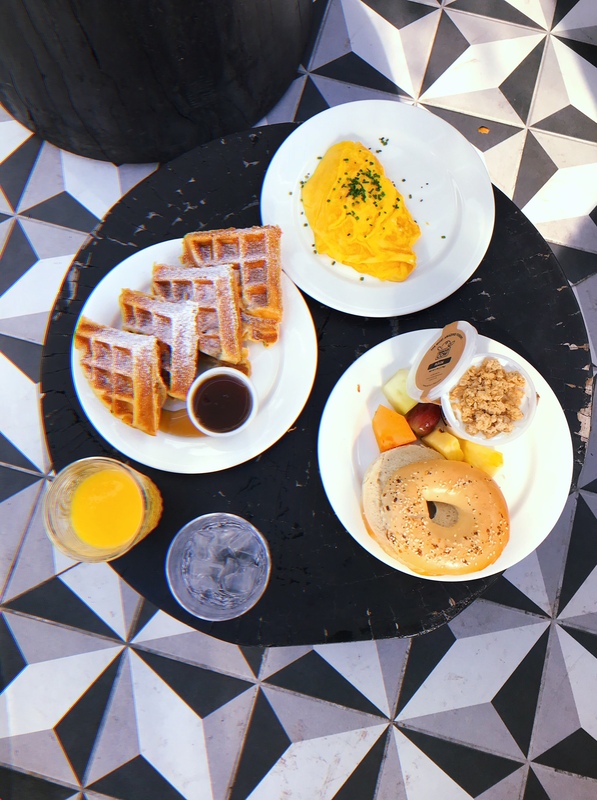 There isn’t a restaurant at the hotel yet (Seafood restaurant coming soon) but in the meantime breakfast/brunch is served here daily. 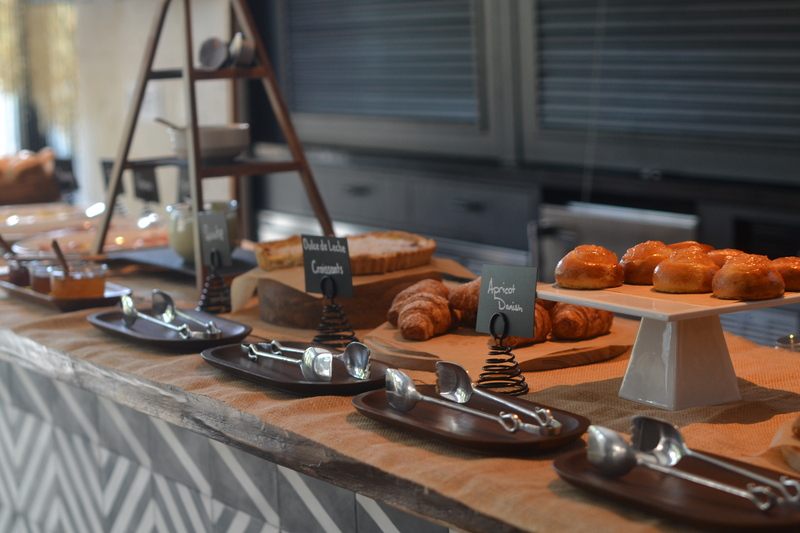 They have a beautiful breakfast buffet for $15 that will put any regular hotel continental breakfast to shame. 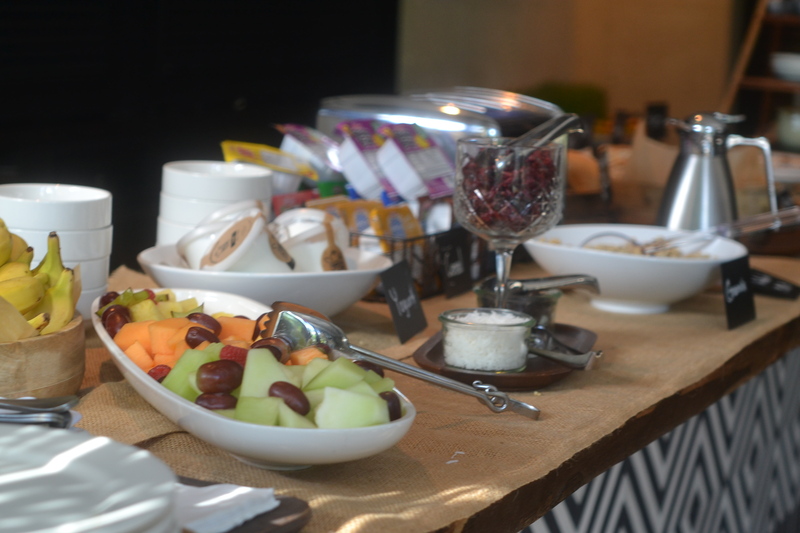 Fresh fruit, waffle bar, yogurt station, variety of bagels and pastries and fresh to order omelettes is what makes this breakfast a hot commodity. 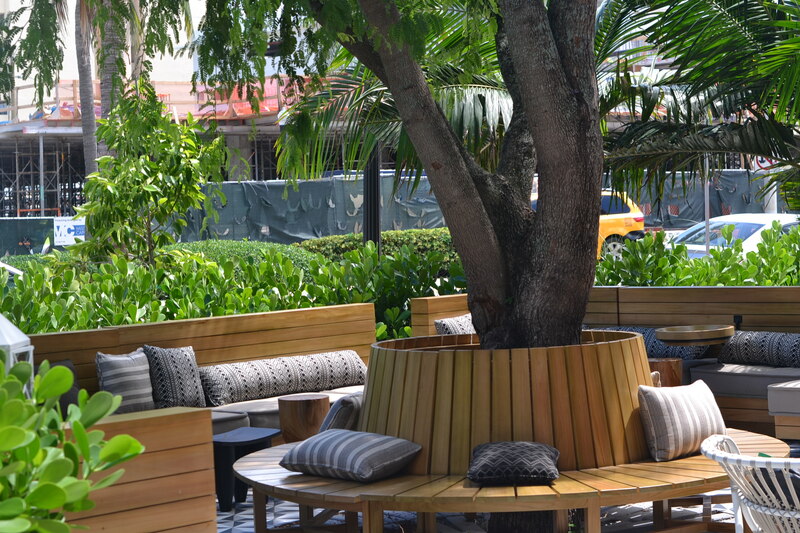 Feel free to eat inside the bar lounge area or get some fresh air like me and eat in the outdoor lounging area! 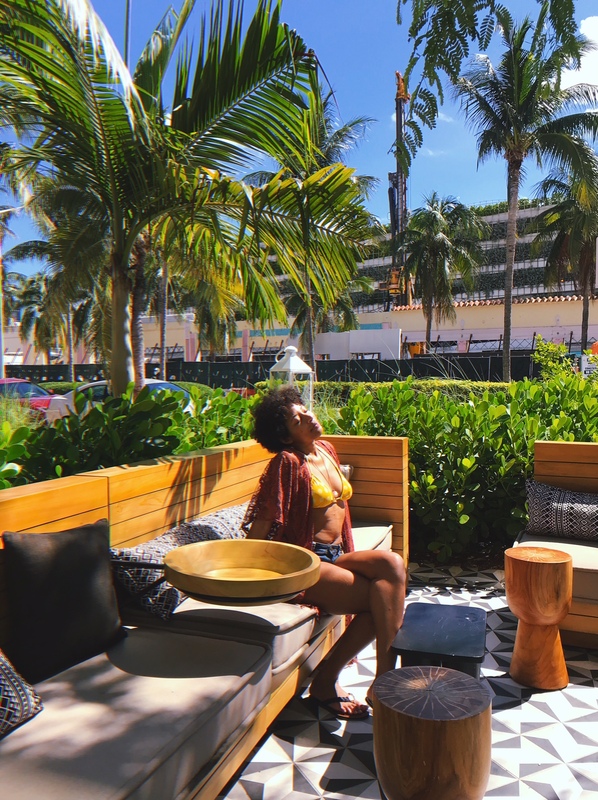 Angler’s South beach, located at the beginning of the world famous Art Deco District, is just steps away from the beautiful Atlantic Ocean. 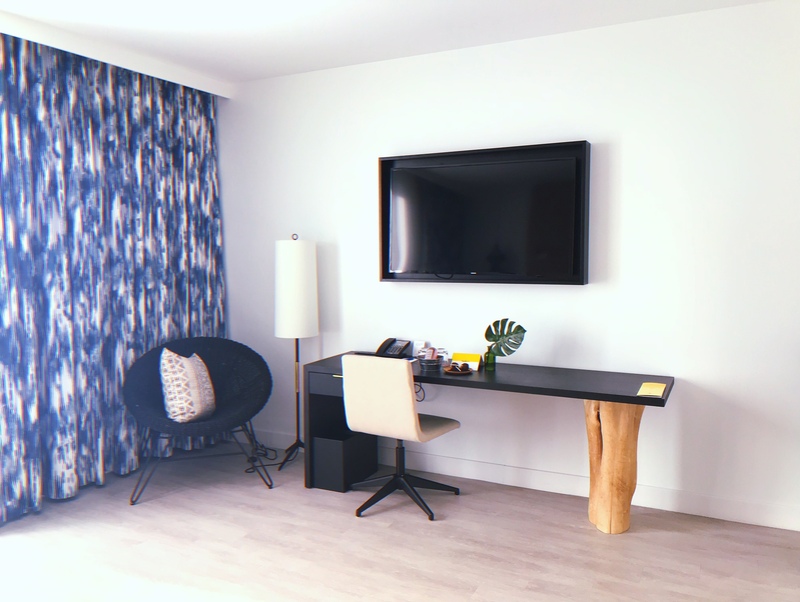 With 85 newly added guestrooms, more spacious than you’d expect, there is no lack of variety at Kimpton Angler’s Hotel. 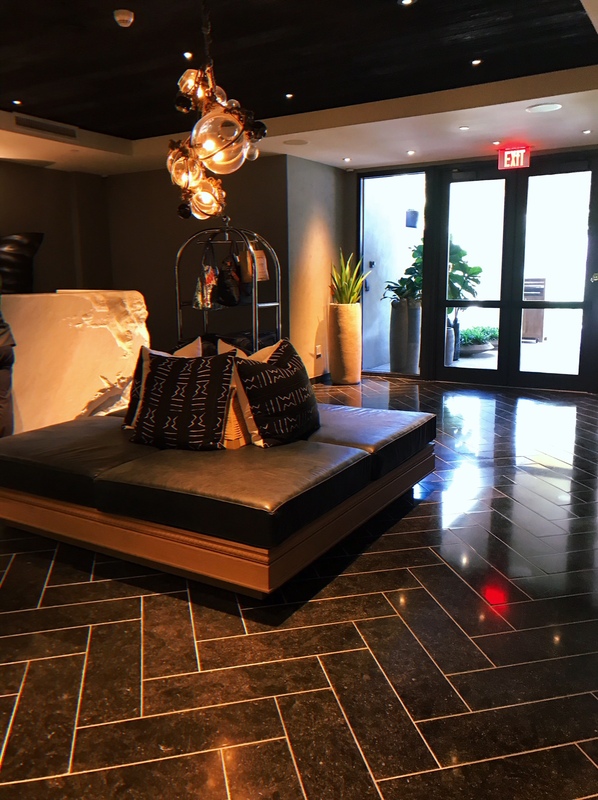 Thoughtful touches abound, like bamboo flooring, marble baths and mini bars stocked with carefully curated gourmet options. When Was The Last Time You Visited Miami? I have to agree the lobby of the hotel look modern and laid back vibe. I love the lights as it look like an art piece for me. The pool too look undisturbed which I can do countless of laps of swimming. Though the pictures are lovely but I concentrated on your words. Very effective use of words I shall say. The pictures are just lovely – and this looks like a stunning hotel. I would definitely look at staying here. What a beautiful hotel ! I definitely want to enjoy a good stay when I saw your pics ! That looks like such a fab hotel to stay in when visiting Miami. 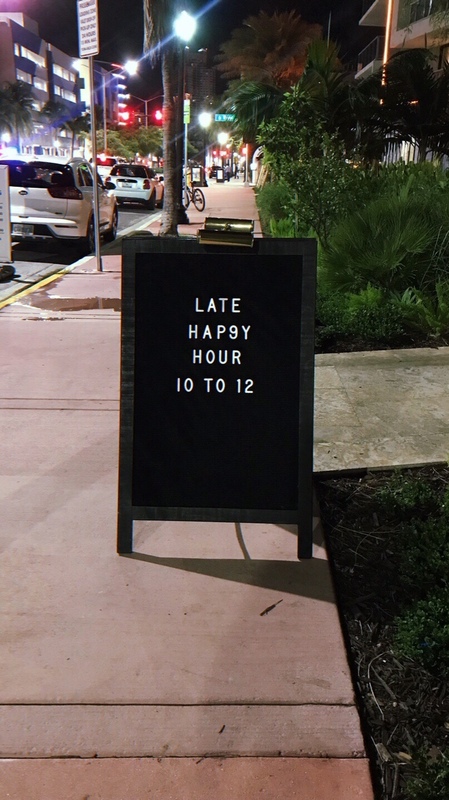 I love the sound of the craft cocktails and the fact that there are TWO happy hours! I have been there before and by looking at your photos, they have really done some amazing renovations. I will definitely share. I love that style of tub. I thought about remodeling my house with one. Girl you are rocking Miama! I had no idea they had onsite wellness activities. That’s amazing! Makes me want to start doing the hotel thing again instead of AirBnB. 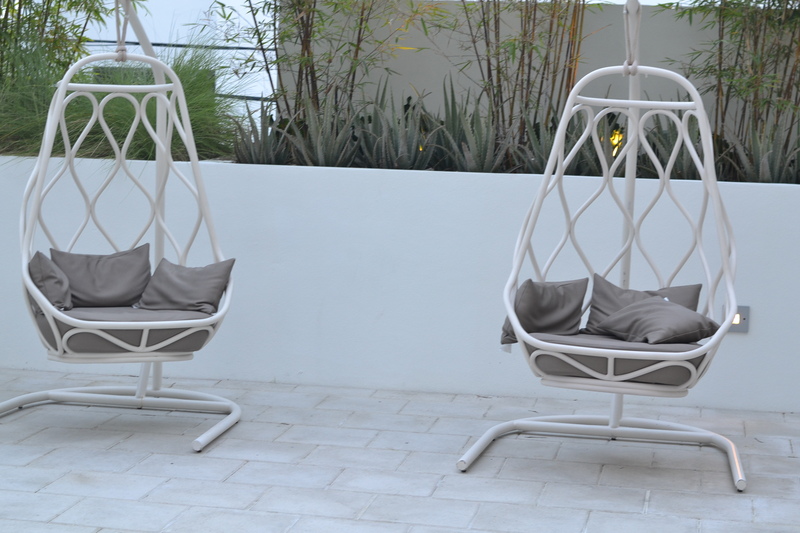 You make this look like the perfect pace to relax in Miami! Thanks for the recommendation, I love the rooftop pool, I can’t wait to take a swim! I love the feel of the hotel. It’s got a fun, laid back decor that also features a ton of amenities. 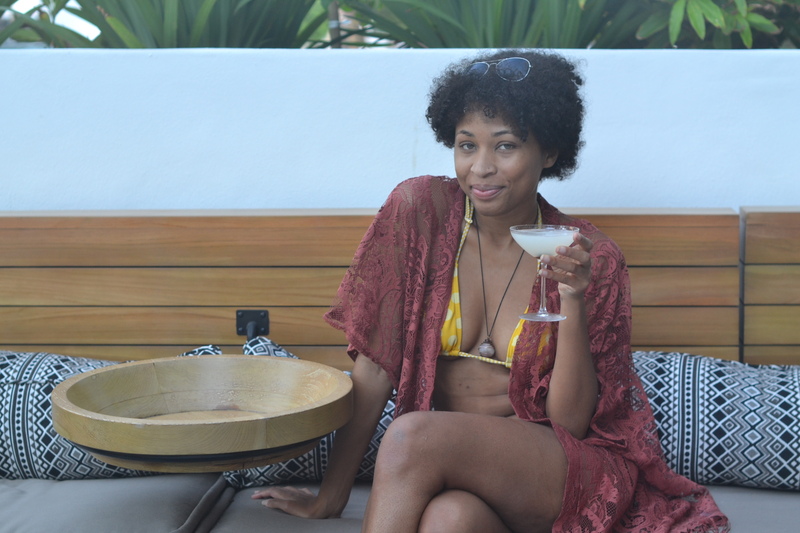 I need to stay here the next time I’m in Miami. 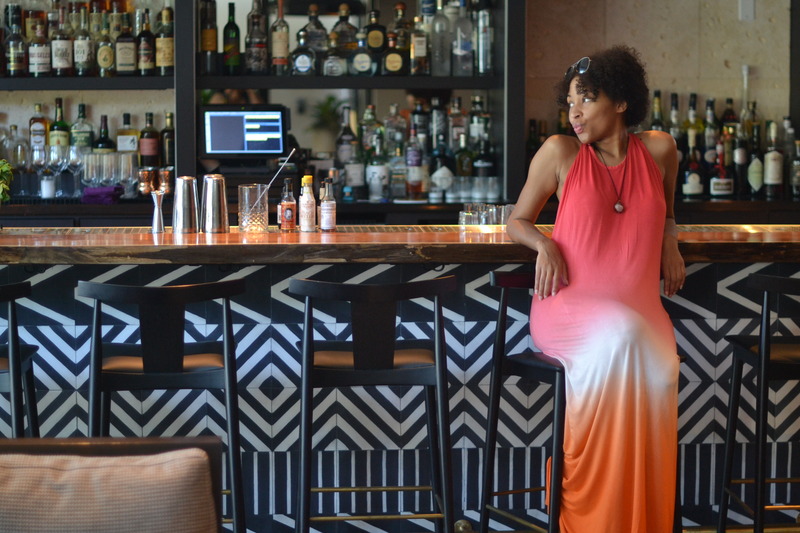 I’ve always loved Kimpton hotels. They’re sleek and hip and give the boutique feel. Great photos. It looks like you enjoyed your cruise too. Wow! Looks like a great Miami get away. 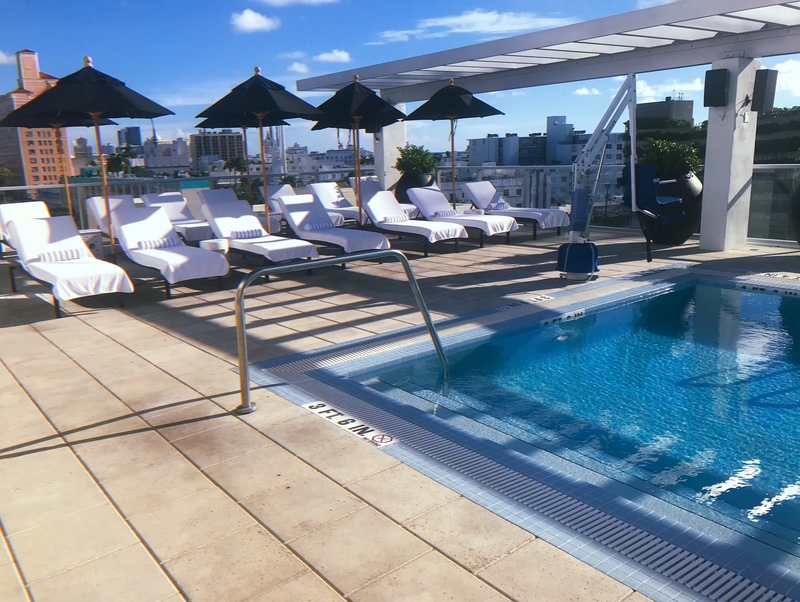 How can you go wrong in Miami with accommodations like that? never been to Miami. but this looks like a great place to stay when I go! How could you want to leave a room with a tub like that? And I love the bed too. But, that rooftop pool would be soooo tempting! I love Kimoton hotels. This one is very nice. Looks like a very relaxing experience. My favorite perk when my family stayed at a Kimpton was milk and cookies for my kids at bed time. This is such a great hotel recommendation! Thanks for sharing! I am staying here the next time I am in Miami. This is a nonstop photo shoot and I am here for it. From the inside to the out they put a lot of thought into the design and decor. 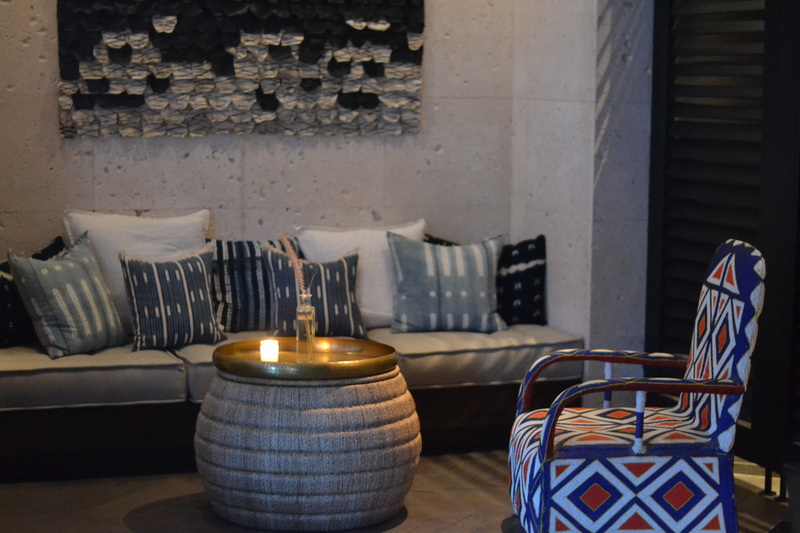 I’ve stayed at a couple Kimptons and they are quickly becoming one of my favorite boutique hotels. 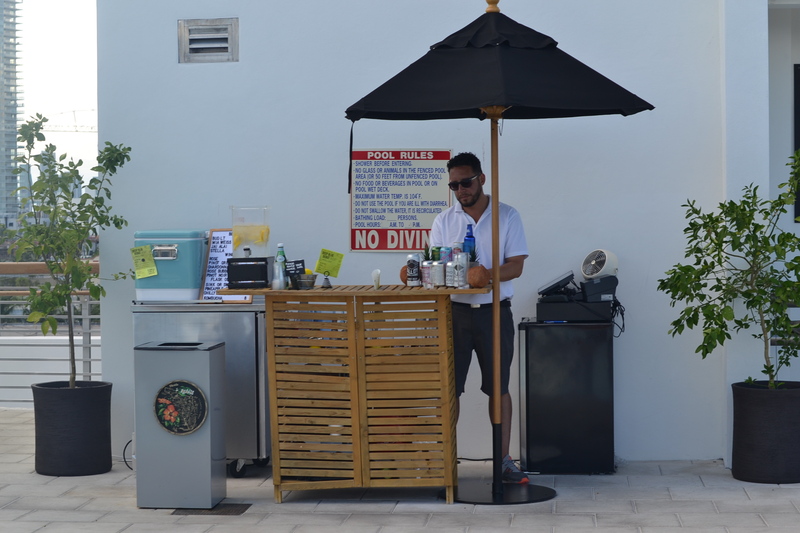 Their service is always on point and the cocktail hours are fun. Ah I used to live in Miami! I miss it so much! This hotel is absolutely stunning. When I go back to visit I want to stay here! This place definitely says take me here and let’s have a good time!! Thanks so much for the recommendation. This looks like a really pretty hotel. I would definitely love to stay here some day. Too! Would love to visit someday as I’ve always wanted to go to Florida! This hotel looks fantastic and seems to have everything one could ever need to make the stay more enjoyable! I will be definitely saving the address! I love the aesthetics of that hotel! I’ve never stayed there but will be booking it for my next stays in Miami! Hi Kiwi! I loved this post ! Your pictures were beautiful snd you definitely inspired me to go to Miami. I love that you’ve added your itinerary. Looks like a fab place to stay! Much better than the chain hotel I stayed in overnight when in Miami this time last year! Miami is such an electric city! That room is gorgeous & that tub – swoon. The hotel is so elegant. It looks like you had a fantastic stay there. I haven’t been to Miami, but when I go I will keep this hotel in mind.